If you’ve seen our latest adverts you’ll have seen our top 5 tops for increasing the number of visitors or delegates who download your event app, and then go on to engage with its features. Since we launched our event app – FusionVisit – at New York Vet in November 2017, we have worked closely with all of our clients to enhance their app engagement. Some have achieved 75% of visitors downloading and using the app; one show saw 28,000 user engagements! Make it simpler for your visitors by integrating your event app within the registration process. Once they are registered, their confirmation will enable them to download your event app and automatically log in. Not only does it reduce the number of times your visitor has to sign up their details, it is a far more seamless journey and the percentage of visitors accessing your app will increase. As the tip suggests, make your access badges available within the event app. It is much simpler for visitors to access the event if their badge is within the app. Less paper and lost email confirmations! Or, if you want a physical badge, scan the app at a kiosk for badge collect feature, giving visitors another reason to download the event app. Why should visitors wait until the show ends to receive an email with links to all the content they collected? Strike while the iron is hot and make the content they scan immediately available for viewing within your event app. They’ll refer back to your app after the show too. Enhance engagement between exhibitors and visitors using app push notifications. Why not allow your exhibitors to send a visitor a complimentary drink in the bar, or perhaps drive visitors to an area of the show looking a bit quiet with gamification tactics? One of the cool things we have done to help organisers engage with exhibitors is to harness the real-time data of the number of leads scanned by exhibitors. 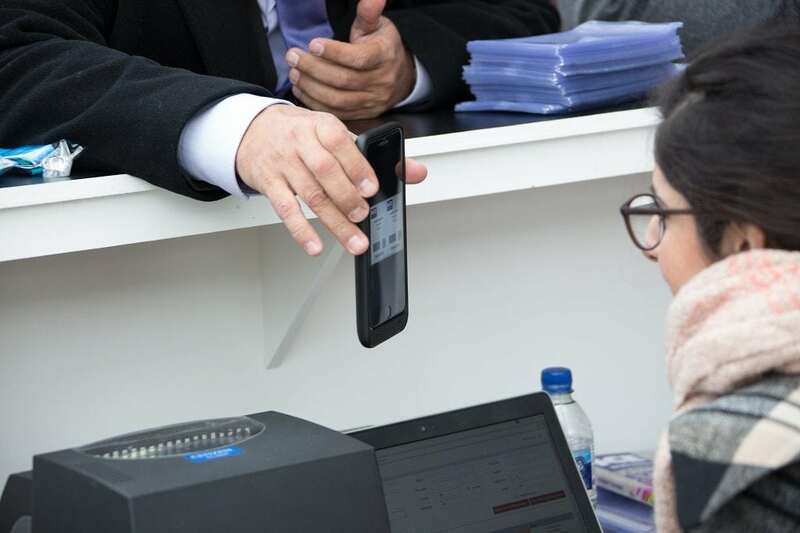 Using this data organisers can drive visitor behaviour to stands not doing quite so well on generating leads, or visit the stand to identify any issues that the exhibitor may need help with. We’ve even seen clients build their re-book strategy around this data; visiting the stands with the most number of leads first to re-book!